7-Week Sessions offered throughout the school year for kids ages 5-11. A yogahour class for adults is available at the same time! 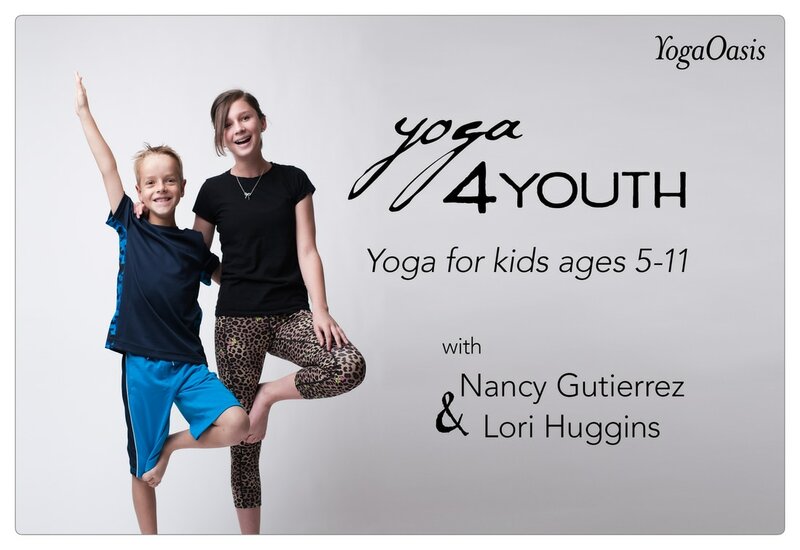 Yoga 4 Youth . . .
Will include practicing poses, short meditations, learning to breathe in different ways for different situations. Will provide an opportunity to improve flexibility, strength and peacefulness. Will include playing games, journaling, doing partner yoga and learning the history and stories of yoga. Is a warm, inviting and fun atmosphere where students are encouraged to be themselves and at the same time challenge students to try new things. Lori Huggins and Nancy Gutierrez are Yoga Alliance® registered yoga instructors. Both have a background teaching elementary school, and share a passion for teaching yoga. They feel strongly that yoga benefits people of all ages, not just adults. Their fun teaching style will challenge students to try new poses in a safe and positive environment.